Dr.Explain is very handy for creating help files and manuals with many screenshot images. 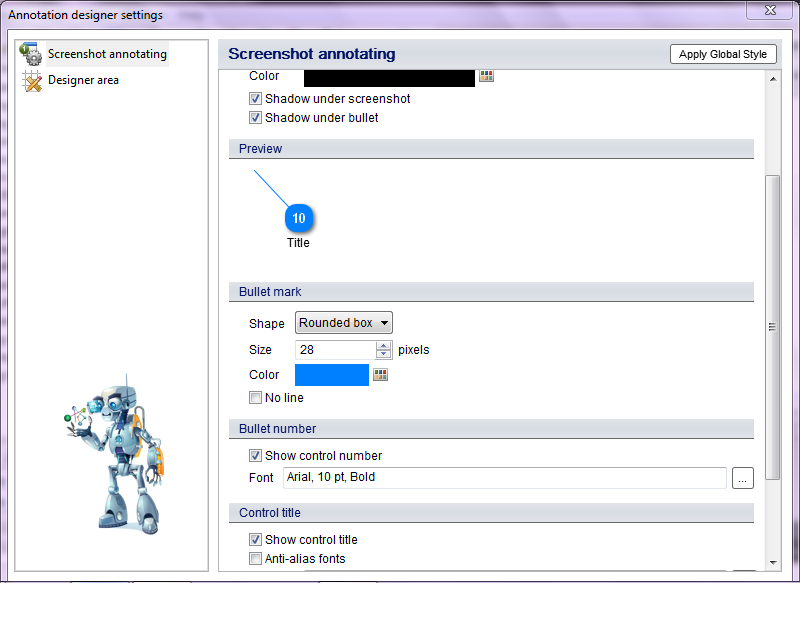 With screenshot editor component you can add various text labels to your picture. You may customize size, shape, font and colors of your text labels and balloons.